ashersmonet | Grindin' | Stay on it! 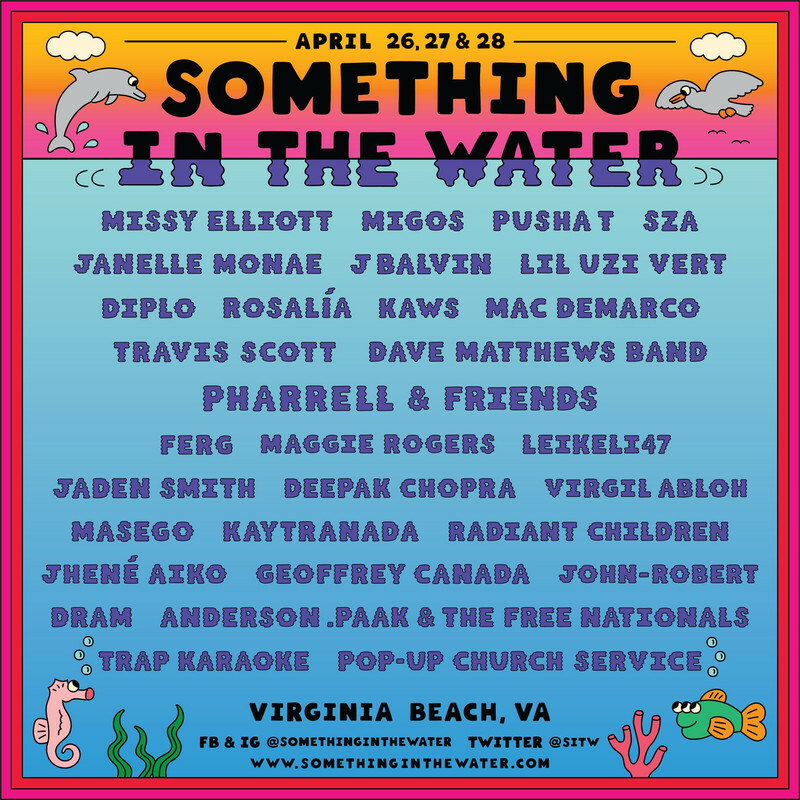 Pharrell posted a video confirming his ‘Something In The Water Festival’ scheduled April 26 to April 28 in Virginia Beach with an unreal lineup including Pharrell & Friends with Diddy, Snoop Dogg, Usher & Gwen Stefani and Janelle Monae, Virgil Abloh, Pop Up Church Service, Leikeli47, Rosalia, Dave Matthews Band, Travis Scott, Lil’ Uzi Vert, Jaden Smith, Jhene Aiko, Kaytranada, Maggie Rogers, Migos, Diplo, Deepak Chopra, Radiant Children, Dram, Missy Elliott, Mac DeMarco, Geoffrey Canada, Trap Karaoke, ASAP Ferg, SZA, Pusha T, Kaws, Masego, John-Robert, J Balvin, Anderson .Paak & The Free Nationals. 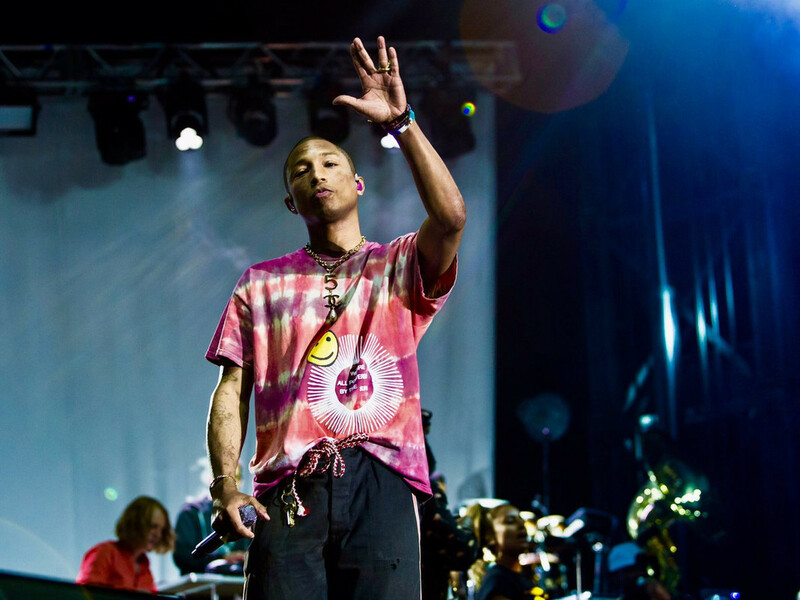 The performances would be held at both the Oceanfront stages and at the Virginia Beach Convention Center. I knew it the minute I heard them!!! Especially Sound of Rain -- it has that signature 4 beats at the beginning! Lol I was in a weird spot.. I think most of the people in my area were machine gun Kelly fans because they disappeared once NERD came out. And i felt odd because i was the only person in my section for a good little while that was really into the NERD set... There was a woman beside me though that did a total 360 though when Lap dance came on, she literally stood up on her chair and was dancing! I was really surprised though that they started their set with Anti-matter!!! @IMKBRAD why are you in pain? This time tomorrow we'll be counting down the minutes til NERD goes on stage!! Looks like your connection to ashersmonet was lost, please wait while we try to reconnect.